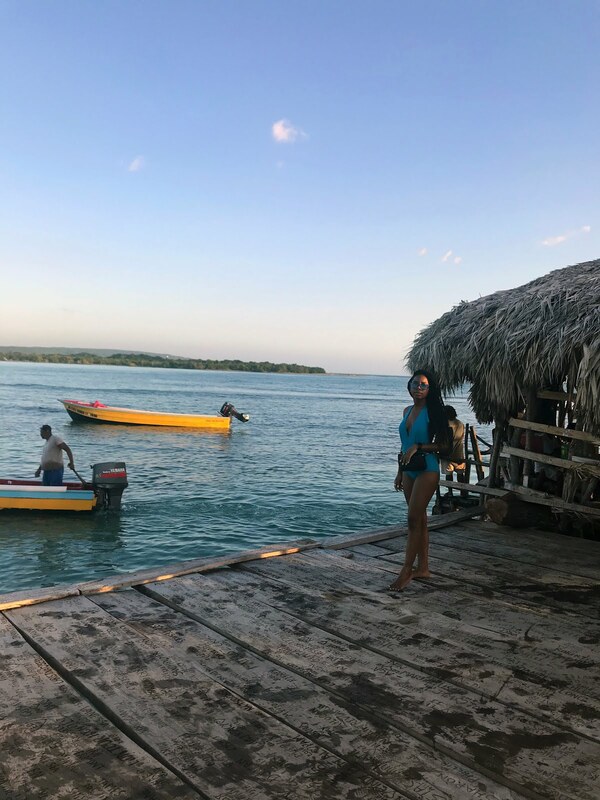 Pelican Bar in Treasure Beach (Jamaica) is one of those places you simply have to go to, at least once! Ever since I discovered this little bar out in the ocean I have been fascinated with the idea of sipping on an extra cold Red Stripe beer, care-free and surrounded by the Caribbean Sea. Finally, it's happened! 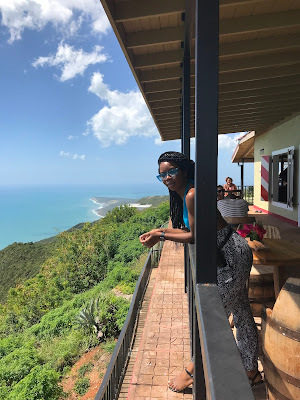 Powering through the flu, I joined a few friends on a Valentine's Day road trip to the opposite side of the island to St. Elizabeth. We live in Kingston so it takes roughly a 2 1/2 hours drive to the "unbeaten path" of the south coast. St. Elizabeth, though not as popular as our city states Kingston and Montego Bay, is one of the most important and historically significant parishes in Jamaica. Once one of the most thriving ports in the world and consequently becoming the first place to receive electricity on the island, today it is a more tempered version of its former years though it is still revered as the island's 'Bread Basket' producing a lion's share of the fruits and vegetables consumed locally. 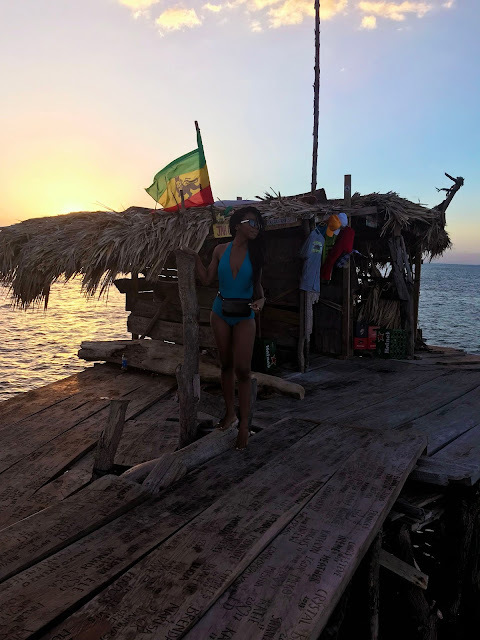 We had our mind set on going to Pelican Bar but since we wanted to catch the sunset, we decided to take advantage of the full day to explore a few other famed places in the parish. Our first stop couldn't be more fitting for Valentine's Day. As the legend has it, two enslaved lovers in an attempt to escape their impending separation, took the infamous leap to their death during a chase with their master. As such this site has been known as "Lover's Leap" for decades and though tragic, on a lighter note, offers one of the most captivating views of the island's coastline. 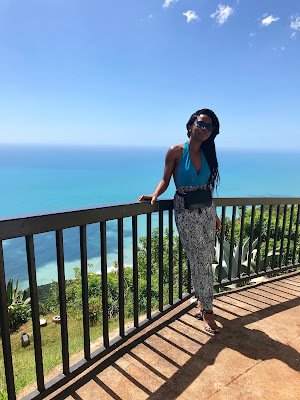 There is a $300JM entrance fee with which you can opt to get a 5 minutes "tour" of the property, learn the history of the area and be told the full story of the legend. There's a bar and restaurant as well but the stunning balcony view is the real charm. Lover's Leap also overlooks a beach which will take some hiking to get to but I'm sure it would be worth the adventure. We worked up an appetite from all the picture taking at Lover's Leap and so headed to the famous Jake's Treasure Beach resto, about 25 minutes drive away from Lover's Leap, for lunch. 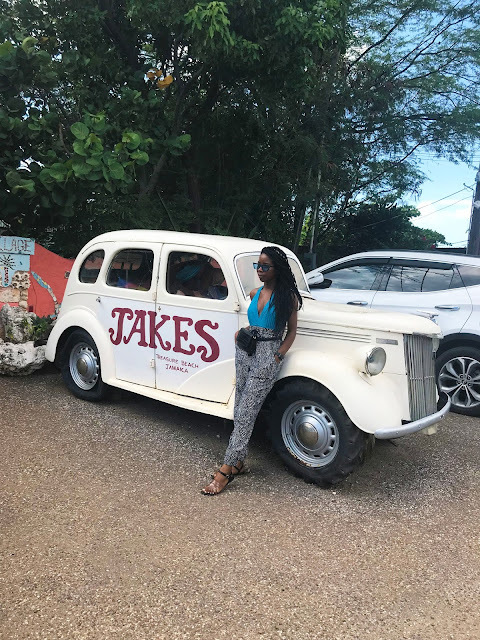 Jake's Treasure Beach Hotel is arguably one of the most coveted vacation getaways on the island. The restaurant is no different. I was delightfully surprised at how affordable the food is and enjoyed my pumpkin parmesan pasta, even though I suffered from food poising later in the night. I will say that in spite of this, I would definitely go back but out of caution will order something else lol. Jake's offers a boat service/ tour to Pelican Bar for $3,500 JMD which would take about 45 minutes. The tour allows you to discover even more of the south coast and, if you're lucky, will even feature a few dolphin sightings. Although Jake's tour to Pelican Bar sounded great I was not enticed by the 45 minutes boat ride, since I have serious sea sickness tendencies and I would much rather save a few $$ too. As an alternative we decided to drive the 45 minutes to Parottee guided by Google Maps where we would be able to catch a sea taxi for less than half the cost. 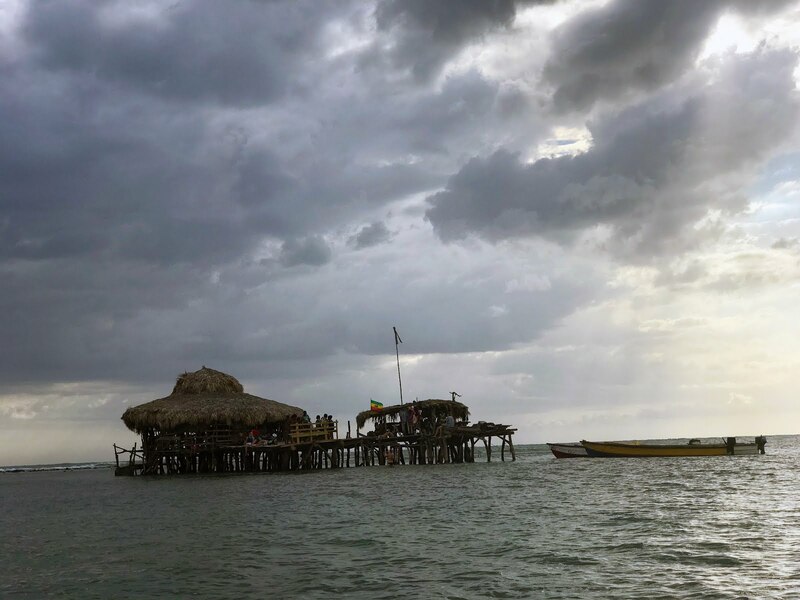 Parrottee is a small fishing village, whose Bay is home to Floyd's Pelican Bar. The drive from Jake's to Parottee really takes you deep into rural St. Elizabeth with many unpaved roads, livestock traffic and bush! We loved every bit of it! We drove to Basil's Bar in Parottee where the local fishermen provided the shuttle service to Pelican for only $1000 JMD. It was easy and less than 10 minutes. It was definitely not a glamorous mode of transportation and just to be safe I still took a Gravol (which I rarely ever leave home without) in case I experienced any nausea. 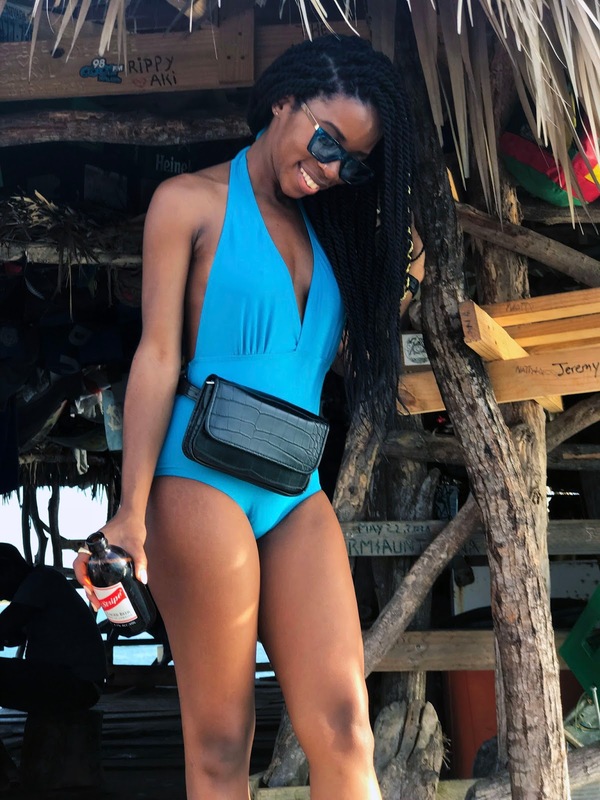 When you get to Pelican Bar, immediate dress down only to your swimwear, grab a cold beer and lounge! One of the coolest thing about that particular area where the bar is constructed is that it is shallow. Standing tall at 5ft, I was only waist deep in the middle of the ocean and there is nothing more comforting, to a person who can't swim, than this. Pelican Bar does serve food, though I never had it. There is also a little shack where you can buy tshirt keepsakes or better yet, you can have your name chiselled into the boards that make up the bar to commemorate visit as well! This is definitely a trip worth making if you're in Jamaica. It is unlike your typical island life experience and gives you a new level of appreciation for nature. You are not only surrounded by the Caribbean Sea but shadowed by the majestic mountains in the distance. Sea gulls are almost within reach and though I didn't personally get a chance to see them, it is not unusual for dolphins to pop in to say hello. My favourite part of it all though was watching the sunset. It was truly stunning. From my own experience, I can say it will be a memory that'll last a lifetime. You simply must go!